Abstract—In view of cloud particle swarm optimization is easily trapped in local minimum and existed slowly convergence in the distribution network reactive power optimization, the cloud particle swarm optimization is improved based on cloud digital features (Ex, En, He), local search and global search which are based on the solution space transform are combined, the random particle is crossed by cloud generator of X condition，the cross operation of particle according to cloud genetic, variation operation of the particle according to the normal cloud `particle. apparent improvement are got in time and storage by using the algorithm, in order to enhance convergence accelerate, train BP neural network by improved cloud particle swarm, the simulation experiment are done in IEEE30-bus system and YUMEN power grid in northwest china, simulation results show that a better global solution can be attained by using the improved algorithm, convergence speed and accuracy are accelerated and improved. Index Terms—Distribution network, reactive power optimization, cloud particle swarm algorithm, cloud model, BP neural network. 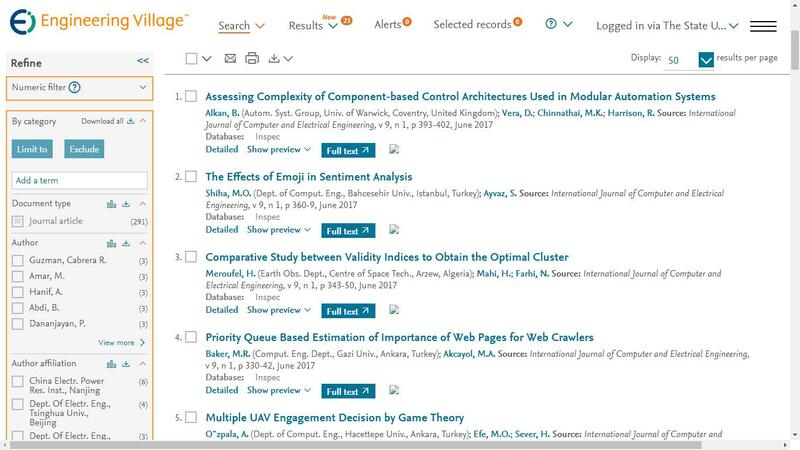 Cite:Hong-Sheng Su and Pei-Jiong Zhang, "Research of Distribution Network Reactive Power Optimization Based on Improved Cloud Particle Swarm Optimization BP Neural Network," International Journal of Computer and Electrical Engineering vol. 5, no. 2, pp. 164-168, 2013.